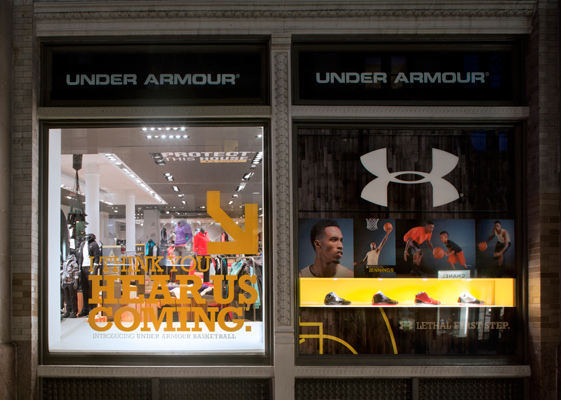 The Under Armour PopUp store arrived in Soho, NYC for the introduction of the new Under Armour Basketball Shoe and in time for the holidays. 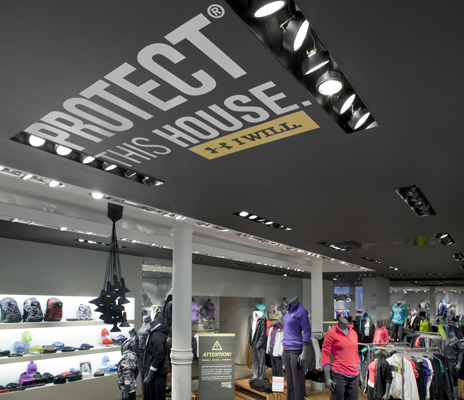 Bold graphics displayed on the ceiling entice and introduce the brand to customers from the sidewalk. 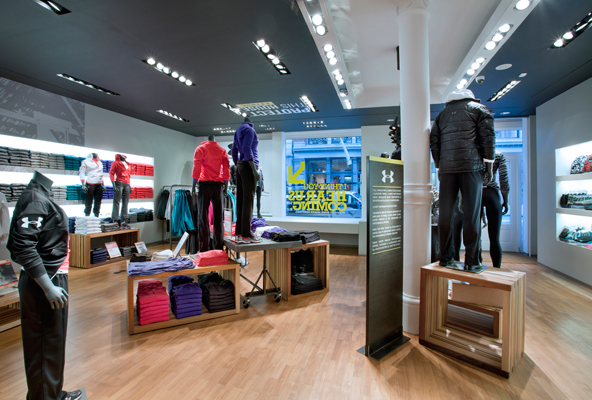 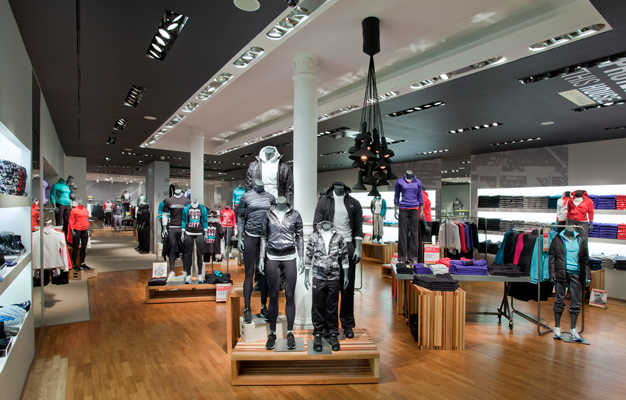 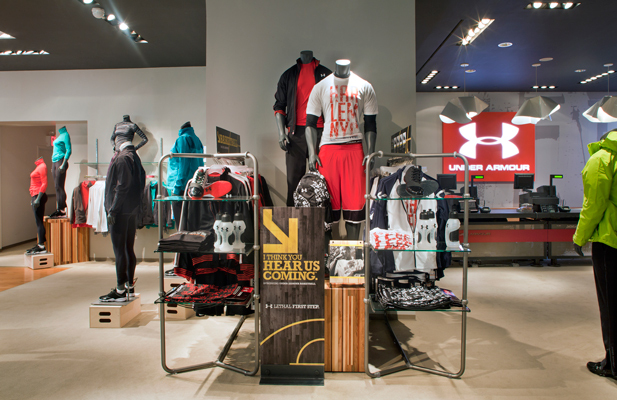 New displays made of striated, reclaimed wood, were interspersed among Under Armour’s standard store fixtures. 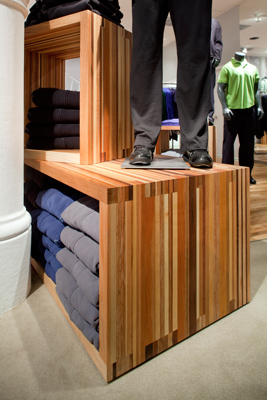 Repurposing materials and fixtures offered a sensible attitude towards the fast pace construction schedule and short term nature of this pop-up store.